The Master Lock No. 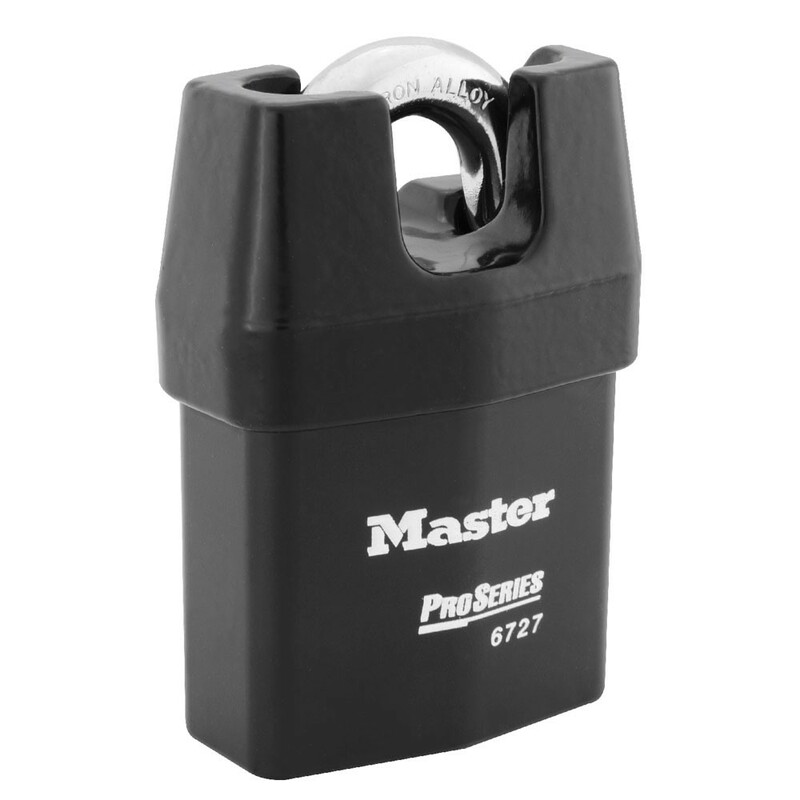 6727 ProSeries® Weather Tough® Shrouded Padlock features a 2-5/8in (67mm) heavy steel body to withstand physical attack and a 3/4in (19mm) tall, 7/16in (11mm) diameter hardened boron alloy shackle for superior cut resistance. Stainless steel double ball locking mechanism. Accepts Evva KIK2 cylinders. Cover Laminated Steel Body. Supplied Without Cylinder. The exclusive cover protects from water, ice, dirt and grime.